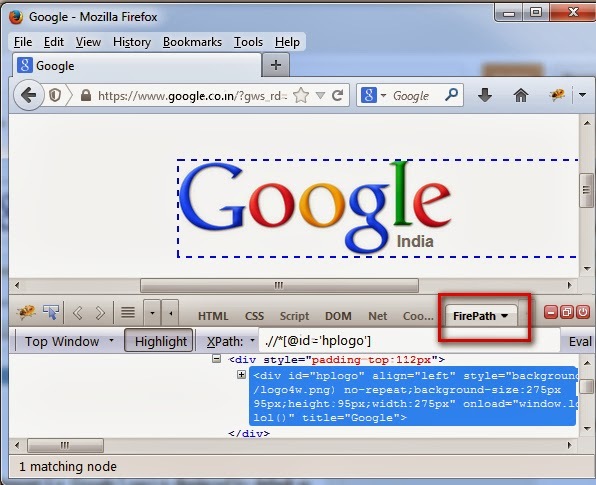 In Order To Use FireBug User Should have FireFox browser Having FireBug Installed ,Click To this link to Know How To Install FireBug and FirePath . Enter Your application URl and Reach To Application WebPage where You Have To Inspect Element . Identify Object or Element whom you want To Inspect . 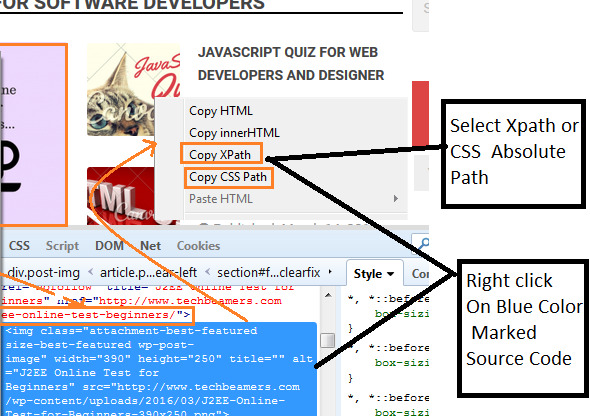 You Have Copied a Absolute xpath or Absolute CSS Path Now Paste in Your desire code where You want To use. 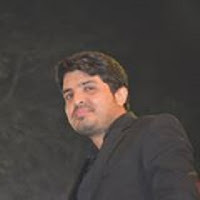 Hi Readers Myself Vivek Kumar Jha ,Having 4 year of Experience In Software Testing Profession,currently working with Leading IT Company as a Automation Test Engineer . I have been using Automation Tool more Than Selenium Like Robot Framework ,New Relic Browser Scripting ,Jmeter & Appium . All rights reserved @ 2017 QaMantra -Vivek Kumar Jha. Theme images by sndr. Powered by Blogger.